This 6×6 porcelain tiles we installed over 2 inches of mud floor and glued with thinset. Being in a tight area and with many drains to collect the water when floor gets washed the small 6×6 tiles best fit the slopes. Floor joists had to be reinforced and secured with extra lumber, to be able to handle the extra weight of the new floor and the commercial kitchen equipment. 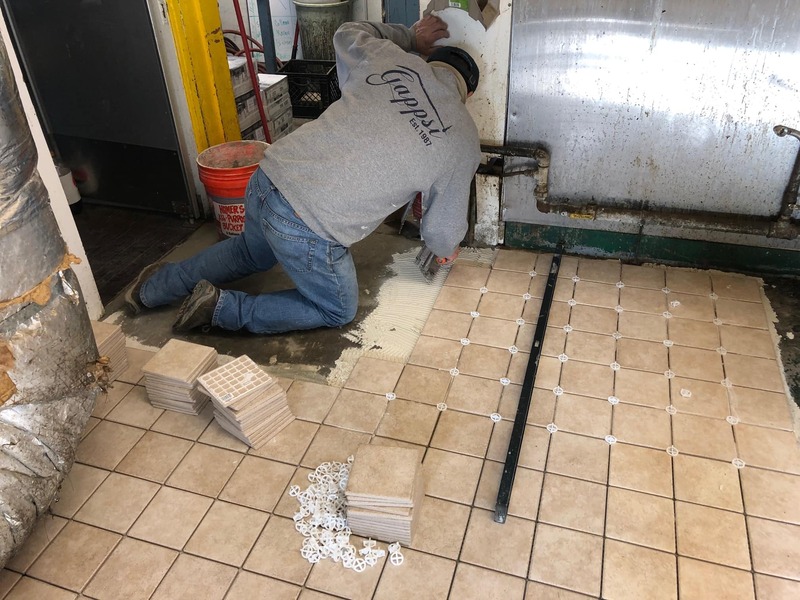 Contact Gappsi at 631-543-1177 for any commercial and residential kitchens remodeling and installation.